This article is a follow up article to a piece wrote at the beginning of the year entitled: “Left Unity, a new party, a new politics.” It is suggested you read that before reading this one as the two compliment one another, the article delved into how Left Unity should be operating and what it should be doing for our new kind of politics. This article shall delve deeper into that topic reflecting on what still needs to be done, and what strategy we should be adopting to grow the party, and continue to fight for the oppressed. The task ahead for Left Unity as a whole and for individual members is a monumental one, building a party from the ground up, it cannot be rushed, we cannot cut corners, for if we drop the baton now, everything is for naught. Our year anniversary is fast approaching and we have come quite a way since we started out, so I guess a congratulations and a well done are in order for all the hard working members, officers, and branches up and down the country, who are working tirelessly in service of their communities and towards the success of Left Unity. Our work however is far from over, as founding and early members of the party our job is one of the most important tasks, we need to be laying the foundations of the party, our foundation within communities and our foundations in the hearts and minds of the people. If we fail at this task, the party is finished, it is our duty to prove to the people that we are not more of the same, that we are well and truly on their side in the struggle, and that they can trust us. It with this in mind that the formative years of the party will shape how we are perceived by the public, and will set the tone of the party for years to come. In fact, everything in regards to the internal structure and organisation could be added to the list, so it is by no means an extensive one, but you get the picture. This is what I am getting a little concerned about, if Left Unity was an army, half of our troops have had no training, the other half haven’t been given any weapons, and we are going to be sending them out to war? Which leads me to my next point, elections are coming up and the debate was had at Left Unity Northampton on how we were planning to proceed, we unanimously agreed that standing in the General Election would be a waste of time, money and resources and we have put a motion in to the NC towards that end. Left Unity is not even a year old, we haven’t got our organisation fully operational, and with less than a year to go, we have no strategy for fighting the election, even if we win a seat, the party is not prepared or ready to have an MP. We need only look at other parties to see how long it has took them to mount credible challenges, and what strategy they adopted to achieve that end. Money that we are going to be throwing away in fighting a general election could be spent on positive things which help us lay the foundations for 2020, where we can fight a good campaign. If Left Unity was a product, we haven’t finished making it yet, nor have we finished producing it, but we are already trying to sell it and that kind of opportunistic token electioneering will damage our long term success. So what should we be doing in the coming year, what strategy should we adopt if jumping on the general election bandwagon is a waste of time? I touched on the five points in my previous article, but we need to be doing more than just that. We need to be working at building local foundations, local fortresses, Left Unity bases up and down the country, and more importantly we need to be getting Left Unity out there into mainstream culture. To achieve this, we should be standing in local elections, while continuing to build relationships with communities through the five points. Once these lines of communication are fully laid, the trenches have been dug, then we will be prepared for battle, as the saying goes, fail to prepare, prepare to fail. Therefore the time spent on elections could be spent helping communities in their struggles, doing the important ground work for the success of the party in its battle against capitalism. On top of this, the money we are going to be wasting on a general election could be put towards real good use in growing the party, we could hold a Left Unity political road show traveling up and down the country, with national officers and members going to each and every branch to boost that branches recognition and get the Left Unity message out there. We can put that money where it is needed, helping the oppressed and downtrodden, getting right into the hearts of communities and building Left Unity from the bottom up. Instead of rushing around placing general election candidates for the sake of it, when we are relatively unknown, we should be carrying out positive actions within communities which will attribute to the long term success of the party, not detract from it. If we do this step perfectly, when 2020 comes around we will be in perfect position to mount a general election campaign, as we would have had six years to plan for it, instead of half a year. 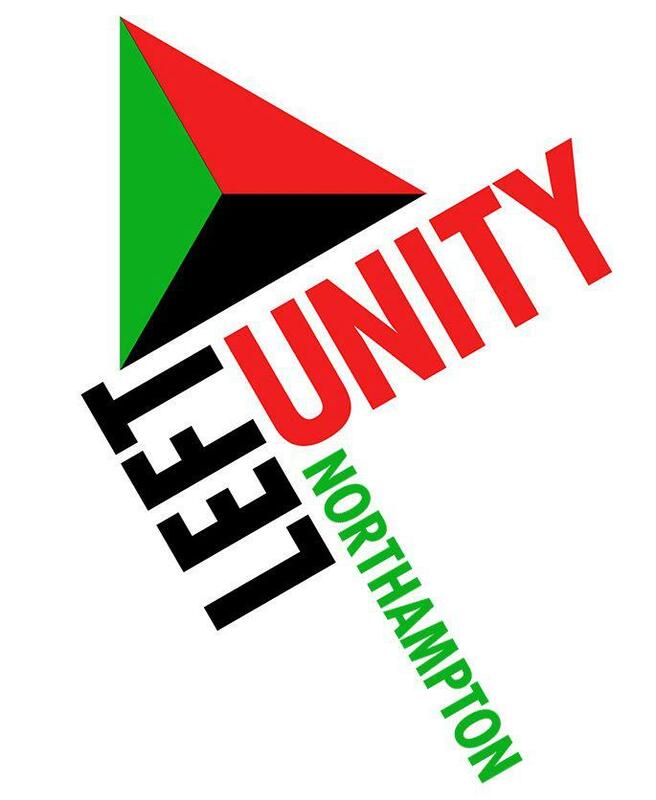 In Northampton Left Unity we have been working at building a strong base, a powerful foundation with which to challenge in 2020. We have built relationships with local groups, carried out our own protests and actions, got involved in local campaigns, helped in communities and set up our own society within the university. We are working tirelessly to build links within the community and create a bond of trust which will empower the group and the people. We will be standing a few candidates in the local election to get LU on a ballot paper, and make a headway into local government, because we feel that is the most effective use of our time. Each month we are gaining one or two new members, and these members are usually people that have never engaged in politics before. We plan on leading by example, and whatever strategy Left Unity adopts, we hope in a few years time we can show you a successful branch. We have done this without any real tangible support in terms of funds and resources from LU Central, if we got given a couple of grand with which to build the branch, we would be twice the size we are now, and this is where the resources should be going. To wrap this up, Left Unity is a long term project, and we need to be thinking in the long term, we are the builders of Left Unity’s future and if we build those foundations on sand, then we are destroying that future. We have two thousand members and need to be pushing to get that membership up to ten thousand, we need to be working at getting branches fully embedded into their communities struggles, we need to be supporting one another so that the party is operational, so that when we do go to war, we are fully prepared for the fight, instead of throwing ourselves to the lions. There is important work that needs to take place in the formative years of the party, that we cannot afford the distraction of chasing general elections, when we will not get our deposits back, not mount a credible challenge, and waste a huge chunk of the year and time, for little or no gain. Now more than ever we need to be placing ourselves well and truly on the side of the people, so that come 2020, we mean business. Instead of running the Fawlty Towers of election campaigns, the party will be fully operational, our policies will be refined, our strategy well thought out, our product will be finished and it will be rolling off the assembly line. We should not be trying to sell Left Unity and carrying out business like the other parties, they are more prepared, better funded and resourced than us, we cannot beat them fighting a conventional war, we will not beat them at their own game, we have to resort to guerrilla tactics if we are too be successful in the long term, so lets not sell out our long term success for short term dreams.